Today's Craft Project Central project is the Bonus Project for November. 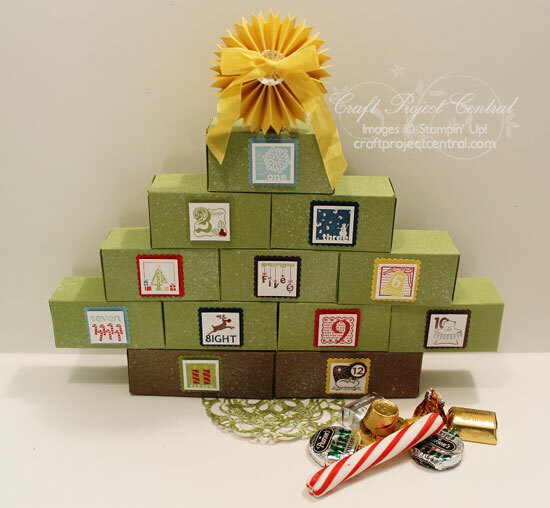 This cute advent calendar was designed by a new CPC designer, Melissa Davies. Welcome Melissa! If you would like to learn how to make this great project, you'll want to subscribe for the month of November AND meet one of the criteria to receive this bonus project. With your subscription, you'll get illustrated, step-by-step instructions for 10 wonderful projects for only $10! You can find out how to gain access to this bonus eleventh project over at Craft Project Central. Please leave a comment for Melissa to let her know how great her project is, too!